White padded resin folding chairs. These are reserved for weddings and higher end parties only. White chair covers and sashes - Available Upon Request! 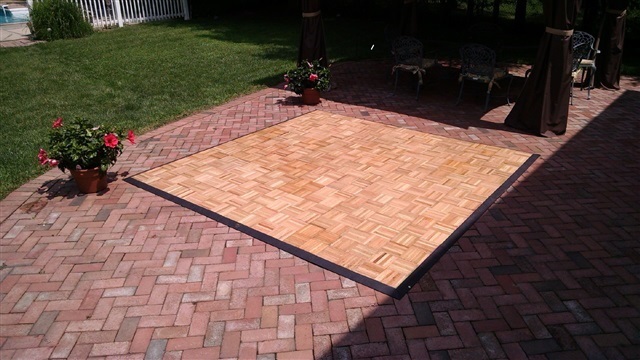 Dance Floors for Rent: We have upgraded our dance floors. These floors have a plastic base that can be placed over any surface. It has real wood on top. It is preferred that it be placed under a tent. Sizes can vary to fit your needs. We now offer Dance Deck to be used as a subfloor. It is designed for use over any surface. It is great over grass and will allow air to circulate, keeping your grass alive during your event.